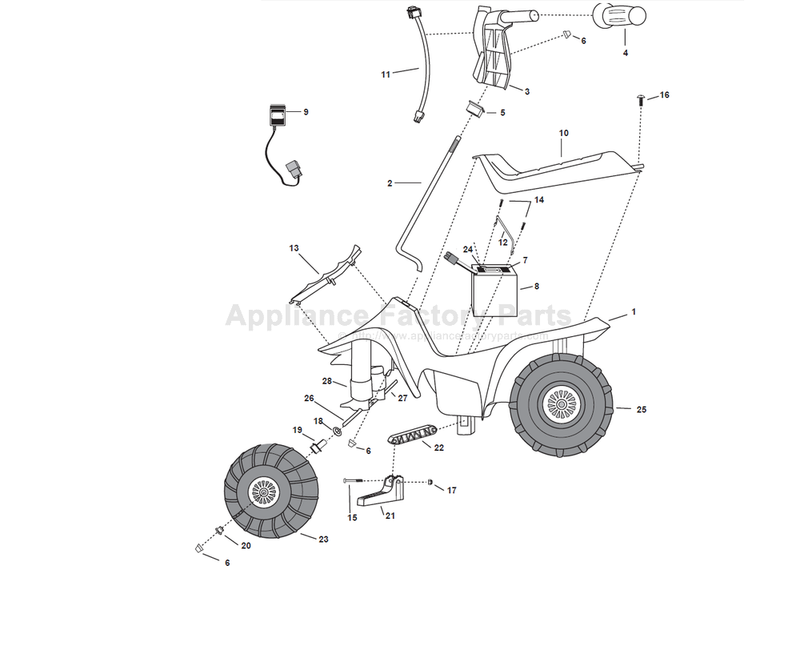 12 74504-4429 - Battery Retainer. 24 0801-0151 - 25 Amp Fuse. 15 0801-0304 - No. 10 X 1-1/4 In. Bolt. 20 78560-2679 - Round Bushing. 27 74504-4509 - Front Axle. 2 76940-4239 - Steering Column. 8 73560-0401 - Foam Pocket. 22 76940-2179 - Footrest Support.